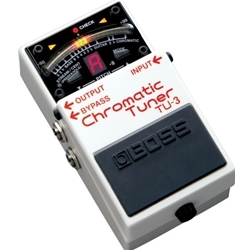 The Boss TU-3 Tuner is a perfect addition to any board. Easy to read makes on-stage tuning a snap..
Get in tune, quick, easy, and accurately with the BOSS pedal tuner. Order one from Remix Music Today.